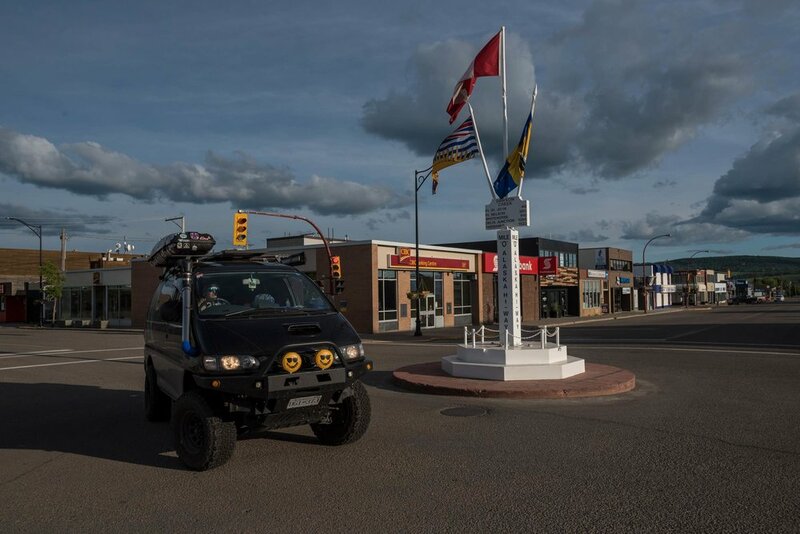 On day 9 we left Moberly Lake BC and headed south to complete this awesome out-of-the-way triangle on this trip. 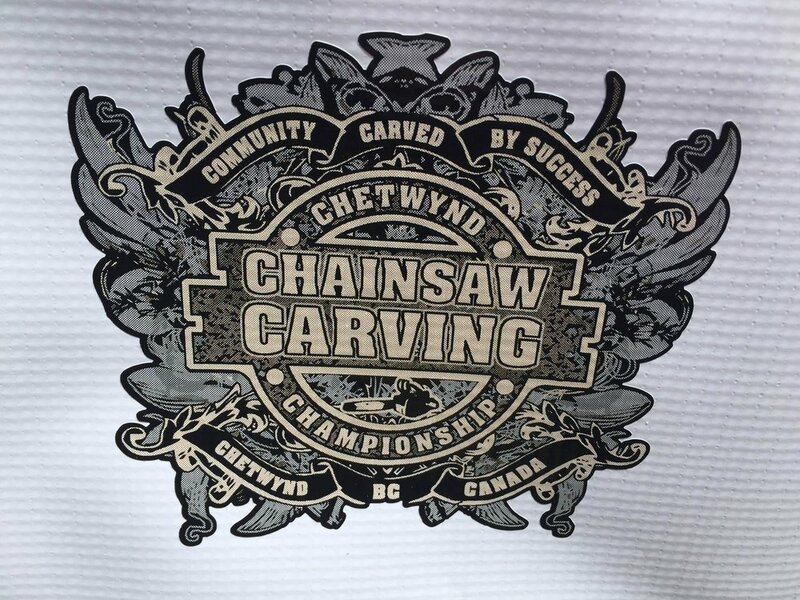 After getting a GREAT recommendation from a sweet lady in Dawson Creek we headed over to Chetwynd BC for the annual Chainsaw Carving Competition! This was nuts. 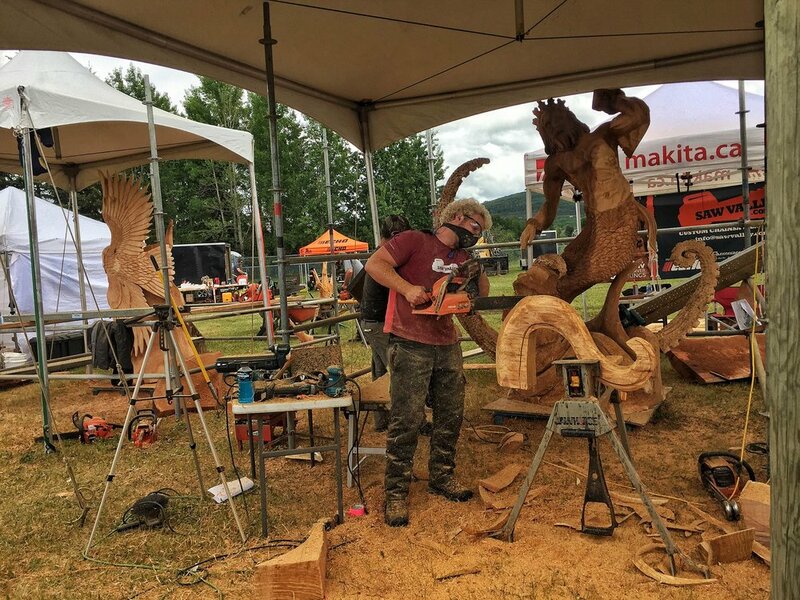 12 contestants from ALL over the world get 30 hours to carve masterpieces out of giant logs. These are professionals; one dude had his own show on hgtv! So happy we witnessed this. 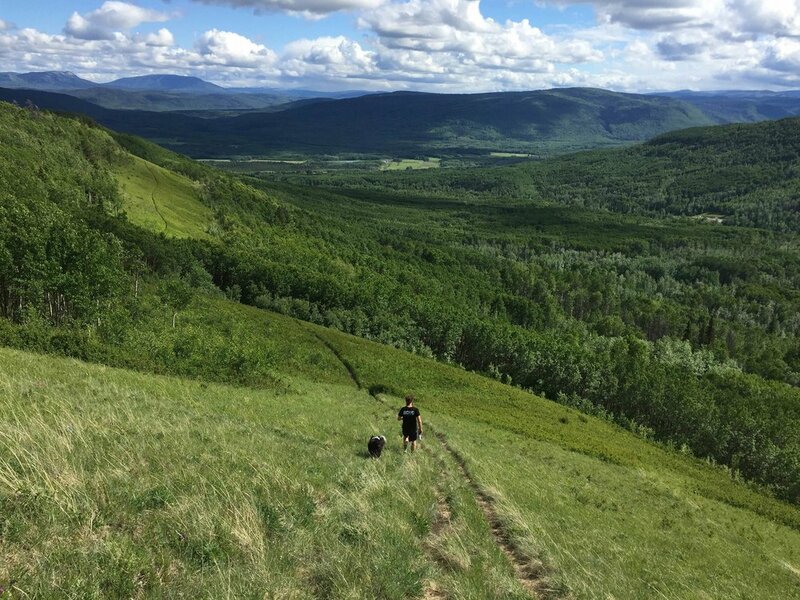 To keep the chetwynd high going we headed to the local mountain for a run to ghost summit with a sprinkle of abs and pushups. 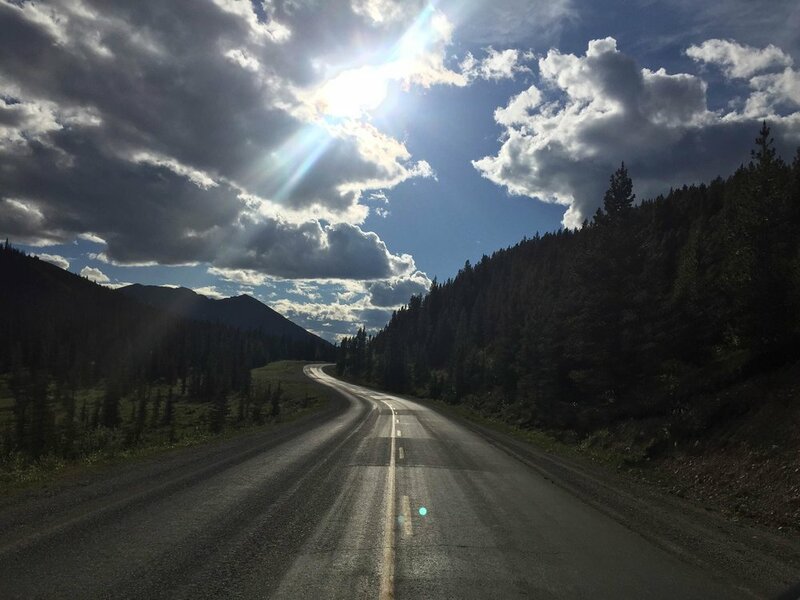 Final cherry was checking out mile 0 of the Alaska highway! Day 10 was a magical day. The day Candice’s life meal wish came true. 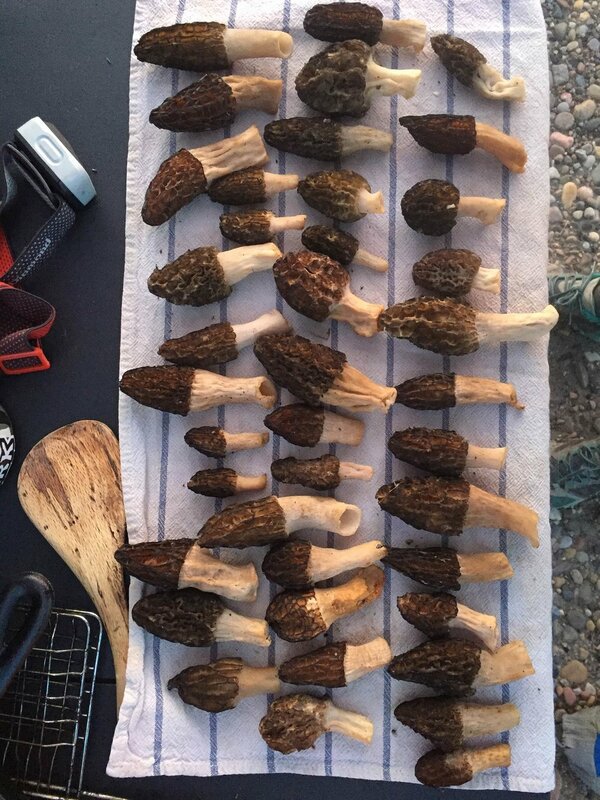 We stopped off the 97 for a morel hunt and to stretch our legs. 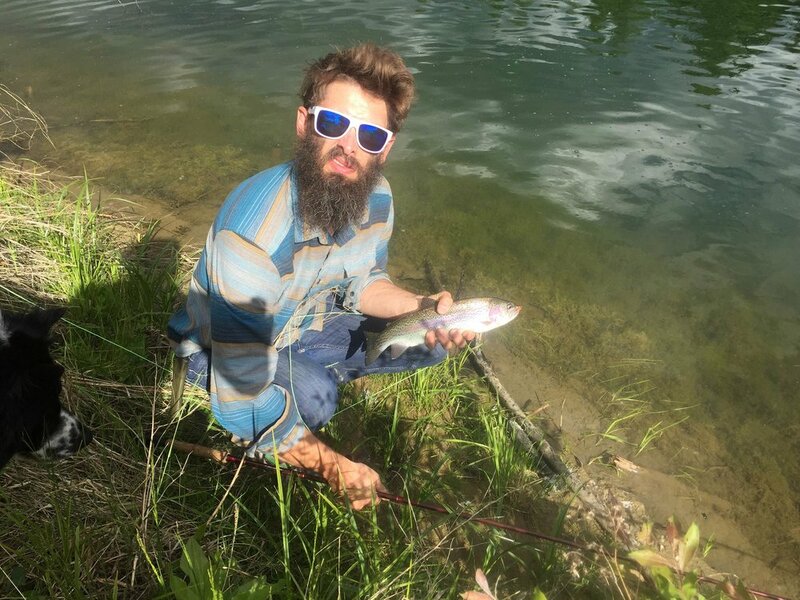 Turns out there’s a small lake back there full of rainbow trout! We quickly renewed our fishing licenses with 1 measly bar of service. Jordan caught 2 BIG fish in a matter of minutes! 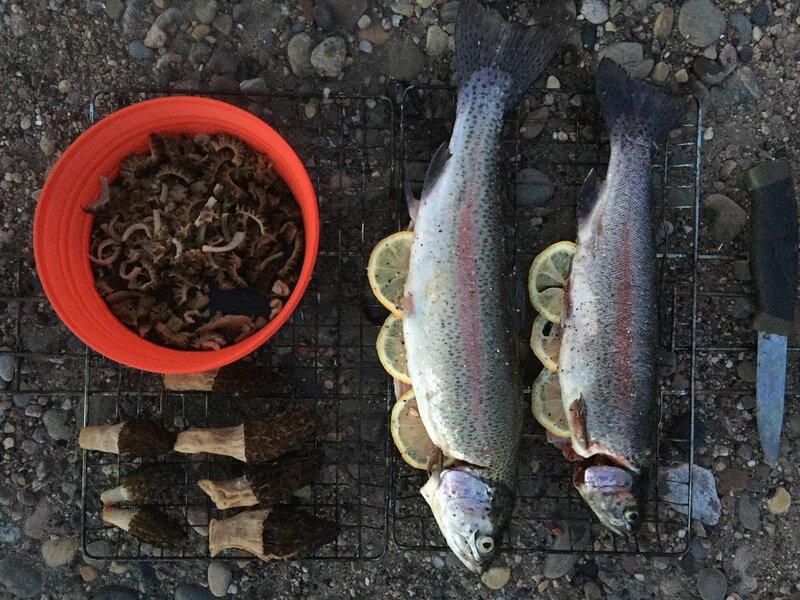 This sweet old dude gave us a hot morel mushroom tip so after fishing we headed to a spot down the road. We found enough morels to feed us for 2 days!!! 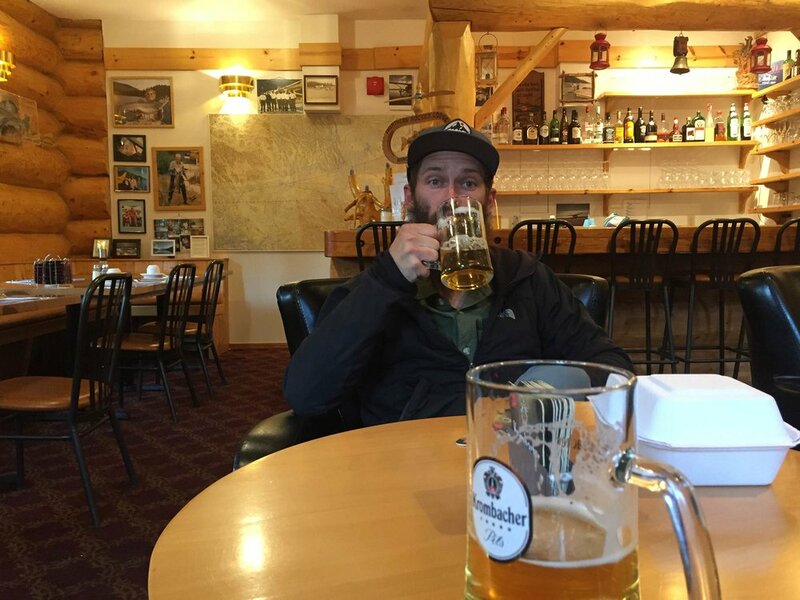 The dinner that night was one of champions and my foraging life meal wish came true. Day 11: After a day of cinnamon buns and errands we didn’t want to pay $20 to sleep next to big rig RVs at stone mountain park so we drove down the road until we found a pullout free campsite complete with firepit over looking the tetsa #2 river. We watched as the sky turned into cotton candy and took some family photos. 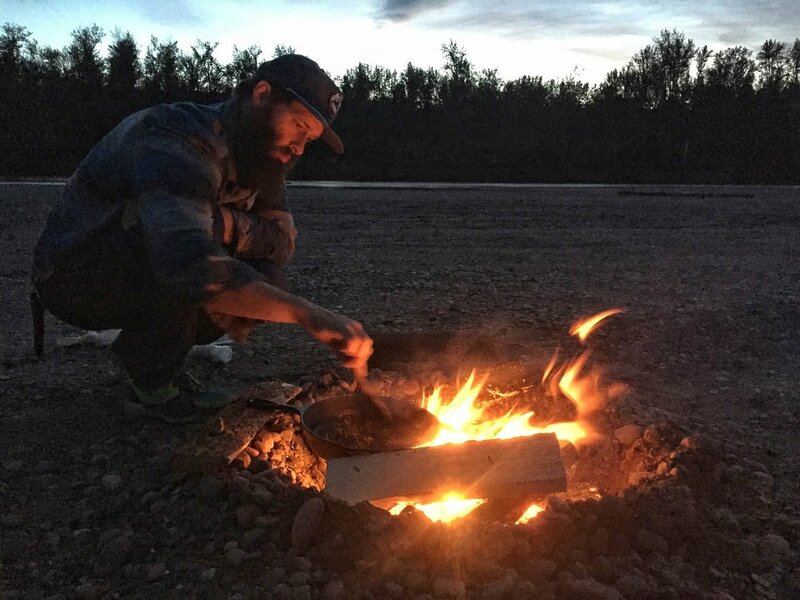 On day 12 we woke up late, backtracked to tetsa river lodge for world class cinnamon buns for our 2nd straight day of buns, and then hiked for 5 hours to one of the most beautiful spots in Stone Mountain Provincial Park: flower springs lake. We saw an entire family of caribou! 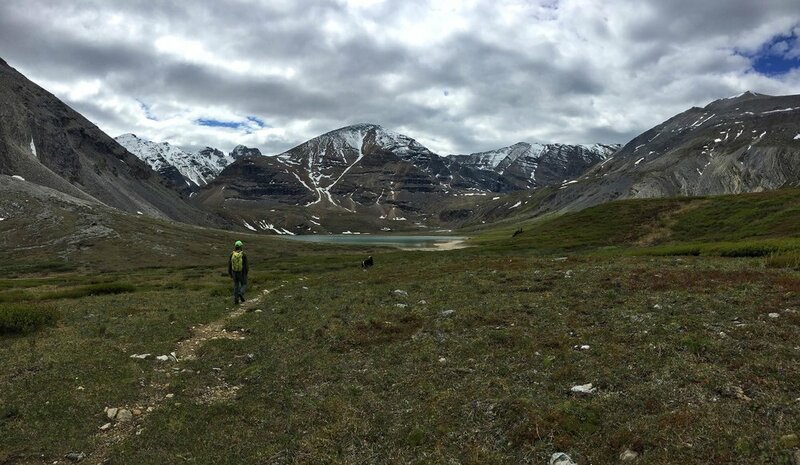 We trekked back passed the lake over the waterfalls to the mountain pass and drooled at our surroundings appreciating all of it. So we ran out of dog food and there were literally only 2 places to get any sort of actual food. 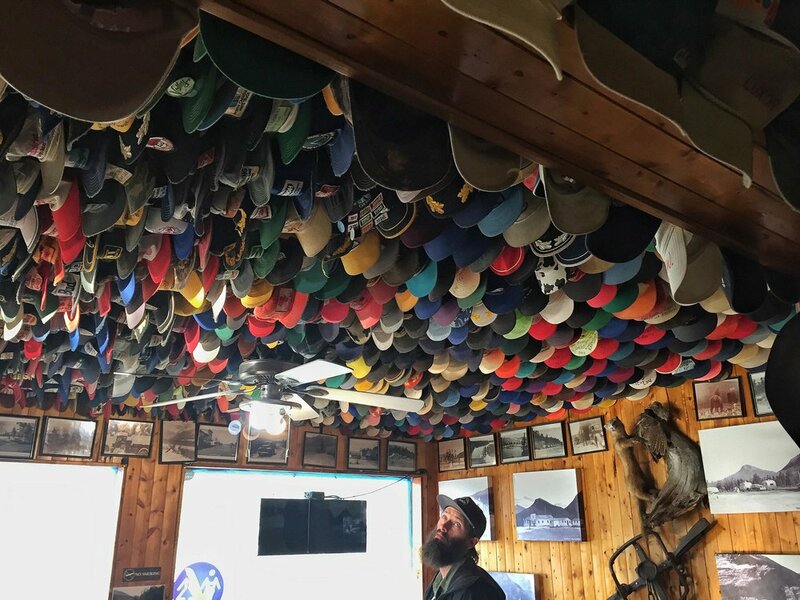 We went to the northern rockies lodge on muncho lake (which is like a rich people lodge with only German Pilsner beers) and asked the chef for any meat scraps for the dog. Nugget ended up eating delicious spatzel pork scraps which we also cooked for ourselves. 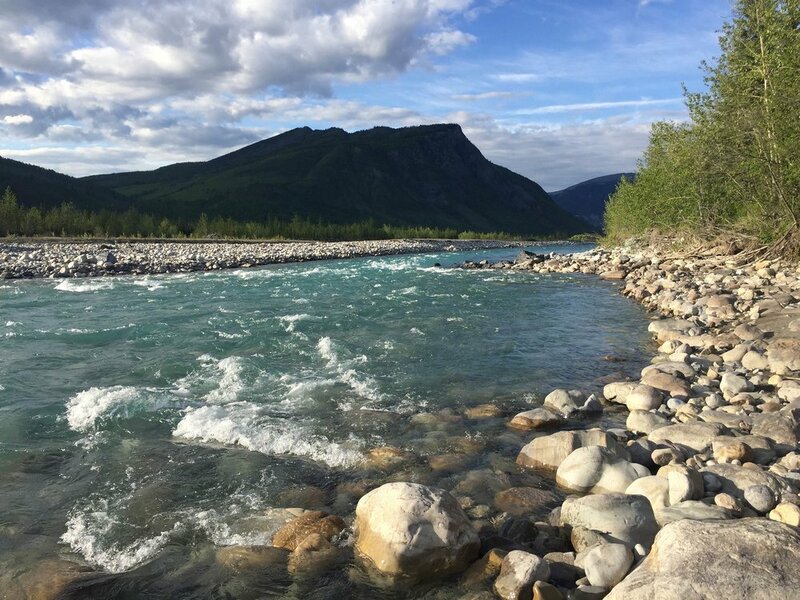 We camped in a free spot by the trout river and dipped our stinky heads in the glacial water. I think it counted as a shower.